The 5 feet 8 inch-tall Nitish Rana was born on December 27 1993 in Delhi. The left-handed batsman has become one of the brightest prospects for the Indian cricket team after the 2017 IPL. 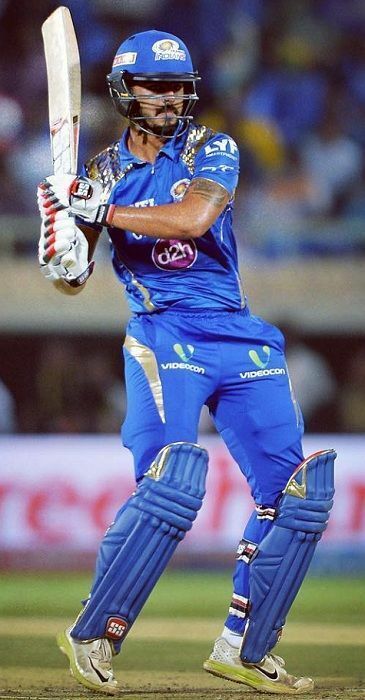 This 24 years old batsman plays aggressively and helped Mumbai Indians turn difficult situations to their favour throughout the course of the 2017 IPL. He made his first-class debut in Ranji Trophy in the year 2016 and made 557 runs in the season at the average of 50.63 and soon, he stood as one of the leading run scorer for the Delhi team. He scored 299 runs at the average of 42.71 and a strike rate of 175. 88 at the 2016 Syed Mushtaq Ali Trophy. Rana turned out to be the 2nd highest run scorer in Vijay Hazare Trophy in 2016. His biggest achievement was 2017 IPL, where his strong performances in the middle-order helped Mumbai Indians win their third IPL title. He was one of the 22 Delhi players who were barred from their respective age group categories from their places because of the allegations of age fudging. He represented Delhi, Mumbai Indians, India Red and presently plays for the Kolkata Knight Riders in Indian Premier League 2018. IPL Fantasy 2019, Match 23, CSK vs KKR: Who would be the X-Factor in today's game? IPL Fantasy 2019: Match 6, KKR vs KXIP: Who would be the X-Factor in today's game?